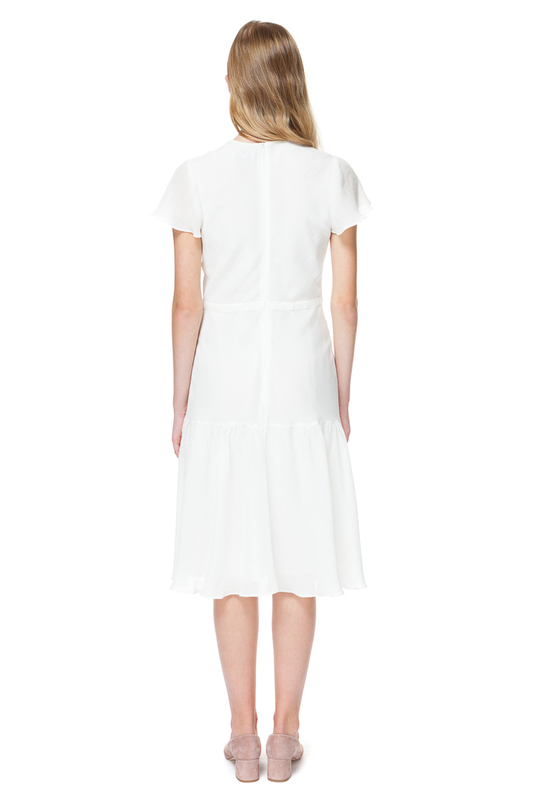 White midi dress with ruffled hem and flirty bell sleeves. Cut from cotton and silk blend, this style is made to complement your body because of the structured panels that are placed diagonally and a drawstring waist to celebrate the curves. Wear yours on your next vacation with sandals or style with a cardigan to the office. Part of the Spring/Summer 2019 runway collection.